Is your brain feeling stressed? The brain stress ball can take the squeeze and provide relief! 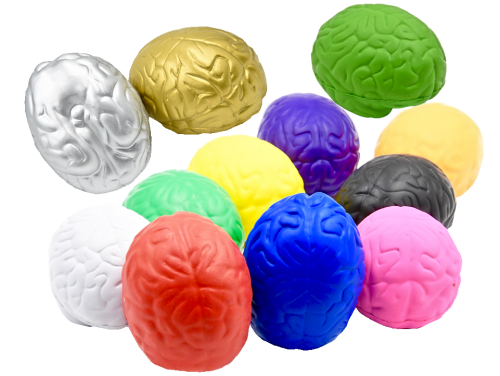 The brain shape stress reliever ball is a symbol that is widely used by so many industries such as medical, education and financial companies. Available in a variety of popular colors, this is a fun and budget-friendly promotional product.